On March 10th, join us at the NL Arts and Culture Centre from 10:00am - 12:00pm for some discussion and refreshments. 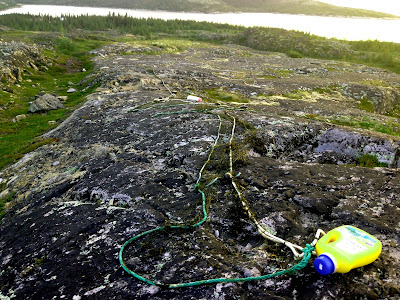 Nets drying in the sun in Makkovik, NL. As the Intangible Cultural Heritage Office plans its direction for the next year, we are looking to community members, groups and organizations across Newfoundland and Labrador to share their thoughts on local intangible cultural heritage at risk across the province. This conversation cafe is one part of the broader effort to identify and understand heritage at risk. A conversation cafe is exactly as it sounds: a themed conversation among guests over light refreshments. In this case our conversations will be guided by questions on the theme, "What traditions, skills and knowledge(s) are at risk in NL?" This is an opportunity to explore what "heritage" means in 2016; to share your thoughts on traditions and skills important to you; to discuss what our living heritage(s) may grow to be in the future! To check-out the event details and to register, click here: registration. Space is limited so register early! Deadline for registration is March 8th.